If someone mentioned wine from Wellington, how many of us would associate it with South Africa rather than New Zealand? Wellington was a ward (sub region) of Paarl until last month. On 21st September 2012, it was officially demarcated as Wellington District, on the same level as Stellenbosch and Paarl. Being a district instead of a ward also means that, if it so chooses, it could one day subdivide the district into wards although it is too early for that at this stage. Duimpie Bayly, Chairman of the Demarcation Committee of the Wine of Origin System in South Africa, was proud to announce the birth of this new region. He explained that the distinctive terroir of Wellington differentiates this little region from Paarl and justifies demarcating such a small area. Wellington District has only just over 20 producers. Apart from the co-ops, most are small to medium size estates. The soil is mainly decomposed granite from Groenberg (Green Mountain) which is an extinct volcano. Vineyards in the foothills of the Hawequa mountains benefit from the various mesoclimates created by the folds and valleys of the mountains. Not only does the Hawequa acts as a rain barrier, it also channels the south-easterly winds (the Cape Doctor) down the valleys. Summer may be hot but there are cool pockets where vines are sheltered from the strong afternoon sun by the mountains. 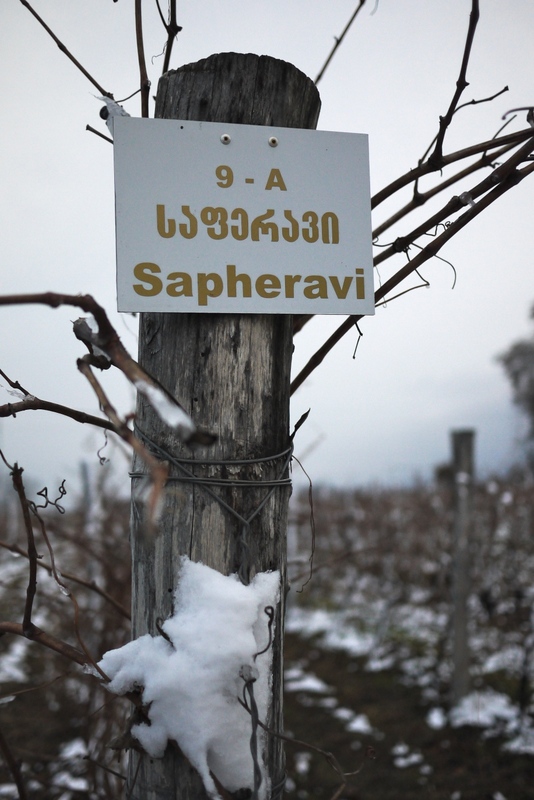 Some vineyards on the slopes can be 3ºC cooler than the valley floor. I agree that this terroir is definitely different from that of Paarl. In 2010, it was proclaimed ‘Top Wine Area’ at the South African Terroir Awards. 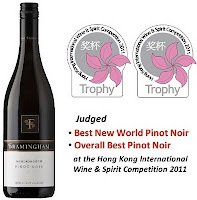 Wellington produces more than its fair share of award-winning Pinotages, a unique South African cross between Pinot Noir and Cinsault. The rich chocolate-coffee easy drinking style, exemplified by Diemersfontein, is particularly popular among young consumers, while the more complex Cape blend with at least 30% Pinotage, such as Doolhof Minotaur 2008, appeals to more experienced drinkers. Wine consumers have a love-hate relationship with Pinotage. 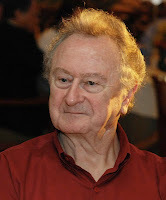 Dave Hughes from The Pinotage Association admits that producers in the early days did not know how to make it, and the result was a green and bitter metallic taste (some people called it rusty nails). But with more understanding and experiment, Dave maintains that Pinotages these days are in much better shape, and consumers should not judge them from past history. Whilst I agree, I also think it’s fair to say that Pinotage is an acquired taste. It has to go with the right kind of food, like robust-flavoured Shanghai or Peking cuisines, or, as South Africans prefer, the braai (barbecue). Pinotage’s fruitiness and smoky aromas complement the sweetness of the food. If you are a Cabernet fan, I would strongly suggest you try the Mont du Toit Le Sommet 2003, a blend of Cabernet Sauvignon, Merlot and Syrah. At nearly 10 years old, the blackcurrant fruit is well integrated with the tertiary aromas of truffles and preserved eggs. Wellington whites are fairly full bodied because of its hot summer. I like the barrel fermented Chenin Blancs, notably Nabygelegen and Diemersfontein Carpe Diem, which are food-friendly and structured without being overly heavy. Those who prefer lighter style whites will be pleasantly surprised with the refreshing Signatures of Doolhof Sauvignon Blanc at only 12.5% alcohol. The vines are planted on a slope and only exposed to the cool morning sun. Wellington has long lived in the shadow of Paarl but with this elevation of status it can be more proactive in marketing. 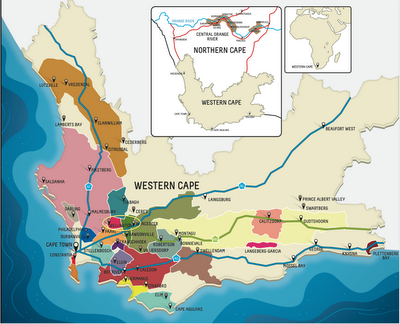 South African wine routes are world famous but most tourists stick with the more well known Stellenbosch and Franschhoek regions. I have to admit that Wellington town is not as vibrant as Stellenbosch and certainly lacks the sophisticated touristy atmosphere of Franschhoek. But these are compensated by its tranquil and relax feel. The surrounding scenery is just as spectacular as Stellenbosch. If you like nature, you will not be disappointed. The Wellington Wine Walk is a 40 kilometre 3-day guided walk in the winelands and surrounding fynbos (the native small bushes of South Africa) that incorporates luxury accommodation and wine tastings—not a bad ‘exercise programme’ for wine lovers. If you are very lucky, you may even be able to glimpse the endangered Cape leopard. By the way, Wellington is only one hour from Cape Town and 30 minutes from Stellenbosch so there’s no excuse not to drop by. Wellington is also known as the cradle of vines. Not only do its 28 nurseries supply over 90% of all vine cuttings to South African producers, they also export to countries including China and Uruguay. At the celebration dinner for the official launch of the Wellington Wine District, each guest was given a young vine to signify the new beginning of Wellington, a very meaningful idea indeed. 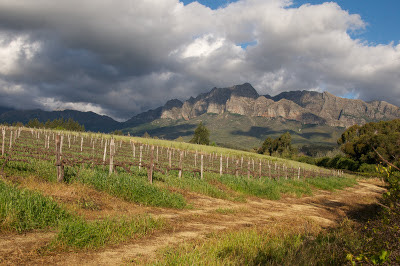 The South African wine industry will always be dominated by Stellenbosch, its big brother (like Bordeaux to France), but I hope we wine lovers will give a chance to its little siblings. Wellington may be the latest one but I’m sure there will be more to come. South Africa prides itself as a fauna rich and biodiverse wine kingdom and only by having more demarcated regions can we truly experience the diverse wine styles offered by this Rainbow Nation. Friends tell me they prefer red wine with oak. I also hear people say that wine must spend time in oak or it won’t be good. But exactly what does oak taste like? Indeed does it have any taste at all? And is it really essential that red wine be aged in oak? Oak is good for barrel storage because it’s strong yet can be bent without breaking and, when wet, expands to allow watertight joints. More importantly, it imparts flavours and allows small amounts of oxygen transmission so the wine can develop over time. First, where does the oak come from? French oak has tighter grain and more wood tannins but more subtle aromas while the wider grain white American oak has less tannins and more pronounced aromas. Hungarian and Slovenian are also available. Second, how has it been toasted? Toasting is an essential link between wood and wine. It destroys wood tannin molecules but makes available all kinds of aroma, from coconut and clove to dark chocolate and smoke, depending on the temperature and length of toasting. Wine aged in untoasted barrels has no complex aromas and its tannin is so raw that it is like biting into a piece of plywood. A ‘light toasted’ barrel gives herbs and spices, while medium toasting brings vanilla, cinnamon and smooth wood tannin. Wine aged in heavily toasted barrels acquires pronounced roasted coffee and caramelised flavours and less wood tannin. Third, how ‘old’ is the barrel—that is how many times has it been used? New oak imparts the most aromas and wood tannins. Second and third filled barrels impart only about 50% and 30% as much, and those over five years old virtually none at all. But even the oldest barrel still allows that vital oxygen ingress, softening the wine over time. Fourth, how big is the barrel? Small ones have a higher wood area to wine volume ratio so impart more flavour per litre than bigger ones in a given time. Small new barrels, such as the 225l barriques from Bordeaux, give the most intense aromas. Fifth, how long should the wine be kept in barrel? Times range from a few months to a few years. Obviously the longer the time the greater the potential for imparting flavour and the effects of oxygen. When you consider how many permutations of just these five variables are available to the winemaker you can see how much room he has for influencing the final wine. Not all wines benefit from maturing in oak, let alone new oak. A concentrated and structured Cabernet Sauvignon may stand up to 100% new oak for 18 months, or even ‘200%‘ new oak by racking the wine from one new barrel to another. But this combination would overpower a more subtle wine like a Burgundian Pinot Noir, which might need only about 30% new oak to preserve its delicate structure and some winemakers would not use new oak at all. Similarly, Dolcetto might need no time at all in barrels in order to preserve its primary fruit aromas. Unfortunately, some consumers have the perception that ’the more oak the better’, leading some producers to over-oak their wine, which may be pleasing at first but quickly gets tiring. I did a blind-tasting of nearly 100 2009 and 2010 St Emilion Grand Crus Classés with Thierry Desseauve, a leading French wine critic, and we both agreed that most were over-ambitious with the oak, but then that is what some consumers prefer. There is a joke that if one wants wood, one should just bite into toothpicks—it’s cheaper than buying woody wine! Oak, like other components including acidity, alcohol, tannin and sugar, should be integrated and never stand out. The aromas of spices and vanilla should complement the wine by adding complexity, not kill the fruit. Perfectionist producers might choose to age their wine in a mix of American barrels, French barrels and stainless steel, and/or new and old oak in different proportions before finally blending to ensure the right amount of oak is imparted. New barrel maturation is expensive and slow. For entry-level wine aimed at satisfying consumers’ desire for oak, the industry has come up with alternatives to barrel maturation using wood chips and staves. They can be French or American oak with different toasting levels exactly like barrels, but at a fraction of the price. Bags of oak chips, reminiscent of giant tea bags, can be placed in the tank during fermentation, so by the time fermentation is completed the wine has already acquired some wood aromas and the ‘wood ageing’ time can be much shorter. Chips or staves are usually used in conjunction with micro-oxygenation, where measured amounts of oxygen are bubbled into the tank to soften the wine, mimicking the effect of barrel maturation. These techniques were considered inferior when first introduced, but most winemakers master them now and can make consistently reliable good-value wine. Lesson to take home? Not all wines need or are suitable for oak ageing. A HK$100 wine ‘aged in new oak’ probably means chips not barrels, but that doesn’t mean it’s bad. As long as it is balanced and integrated, it’s a good wine. It is rather like fast food: the quality is there for the price you pay, but don’t expect it to taste and feel like Michelin starred cuisine. Jancis Robinson MW once said she has absolutely no problem with staves or chips as long as the wine is balanced and authentic. Ask any brand owner or winemaker, they will all say there needs to be a story behind the wine. 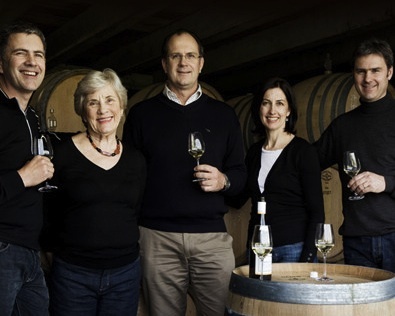 So what’s the story for Villiera, a family run Stellenbosch winery headed by cousins Jeff Grier the winemaker, Simon Grier the viticulturist and Cathy Grier Brewer the export and sales director? I was convinced that Cathy, whom I have met a few times in Hong Kong, would say it is the family heritage, but to my surprise she said environment and sustainability. 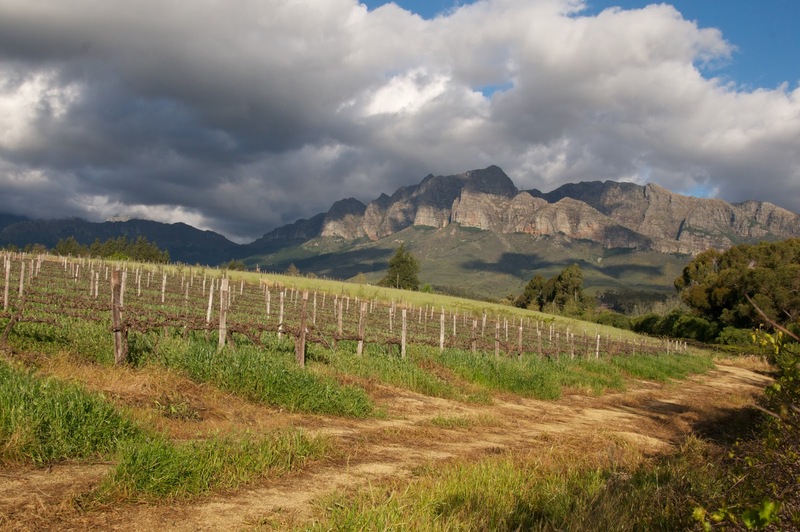 South Africa has been pioneering wine production integrity since 1988, and in 2010 it introduced the Integrity and Sustainability Seal that guarantees a wine’s quality and sustainability credentials. Wines of South Africa (WOSA) expects says 85% of the country's wine brands had been accredited by 2011. So how is Villiera different from the others? Cathy explained that Villiera has reduced its vineyard area over the years in order to return about half of the land to its original state. Moreover, Villiera runs one of the biggest solar projects in South Africa, Apart from during harvest, when additional power is required, Villiera is run solely on solar power for the rest of the year. They have replaced water-guzzling foreign gum trees, planted over 60,000 indigenous trees, conserved and recycled water, and adopted a ‘no waste’ policy. What’s more, Villiera collaborates with two neighbours, The Cape Garden Centre and Klawerlei Estate, and set aside some 220 ha of land (the vineyard area is 180ha) as a wildlife sanctuary, consisting of dams (lakes) and marshland, which is home to various South African mammals and a great diversity of birdlife. Villiera has not used insecticides for over 12 years, yet the vineyard is not organic. Asked why, Cathy says Villiera is more concerned about the ecosystem and biodiversity as a whole. Organic production is good for human consumption but may not necessarily benefit the environment. This fits nicely with the broader concept of sustainability, which is about producing wine over the medium to long term in a responsible way that promotes biodiversity and minimises environmental damage while at the same time being economically viable for the producer. Villiera is looking into the feasibility of becoming a carbon neutral estate. Sustainability also extends to social responsibility. Villiera has undertaken several upliftment projects for the farm’s workers and children and also helps market the produce of the M’Huidi winery, which is owned by a black family. Villiera was the first winery to gain the WIETA (Wine Industry Ethical Trade Association) accreditation for promoting fair labour practices. 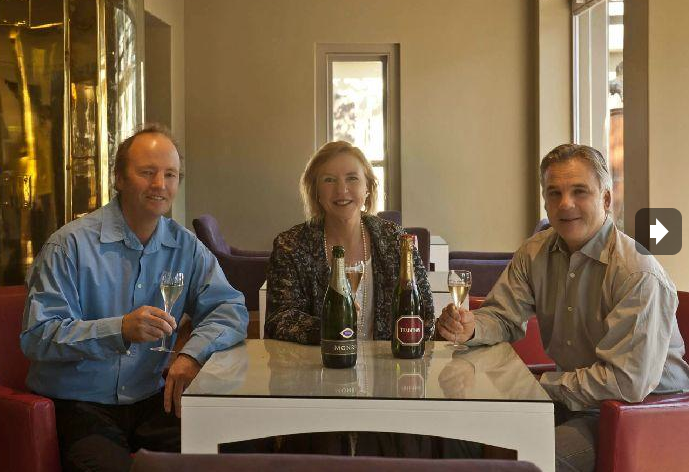 Sustainability apart, Villiera is 100% committed to quality. It experiments with various practices including altering picking times, growing different clones and using new winemaking techniques to make the perfect wine. 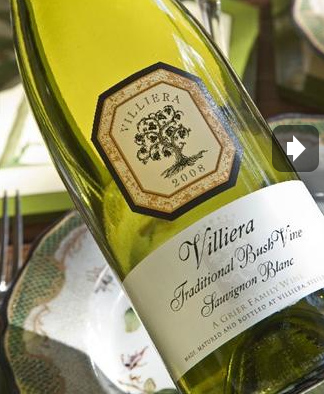 Villiera Bush Vine Sauvignon Blanc is one such example. Realising the unique characteristics of the block of bush vines that existed when the Grier family bought the estate in 1983, Jeff decided to bottle the wine separately rather than blending it with the other Sauvignon Blancs. The wine from these low yield, 30+ year old vines is elegant, with flinty and peppery characters, quite different from a typical tropical fruit flavoured New World Sauvignon Blanc. I particularly enjoyed the 2010 vintage, which tends more towards cool climate characters, and the 2008 vintage, which at four year of age is still pleasantly refreshing. A few weeks ago we had an informative vertical tasting of the Old Bush Sauvignon Blanc and the flagship Monro red (a Merlot dominated Bordeaux blend) under Cathy's guidance. Unfortunately, the older vintages were from the library collection and not available for sale. 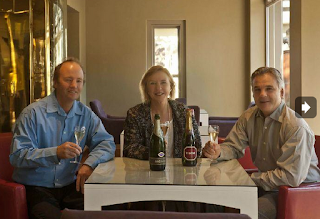 Other award winning wines from Villiera include the Cap Classique Monro Brut and Traditional Brut NV, and the traditional barrel fermented Chenin Blanc. Available from Northeast. Riesling is a difficult grape to understand and appreciate. It has many faces, from sparkling (Sekt from Germany), and dry to sweet made from botrytis noble rot grapes or grapes frozen at -8ºC, and with all kinds of sweetness in between. 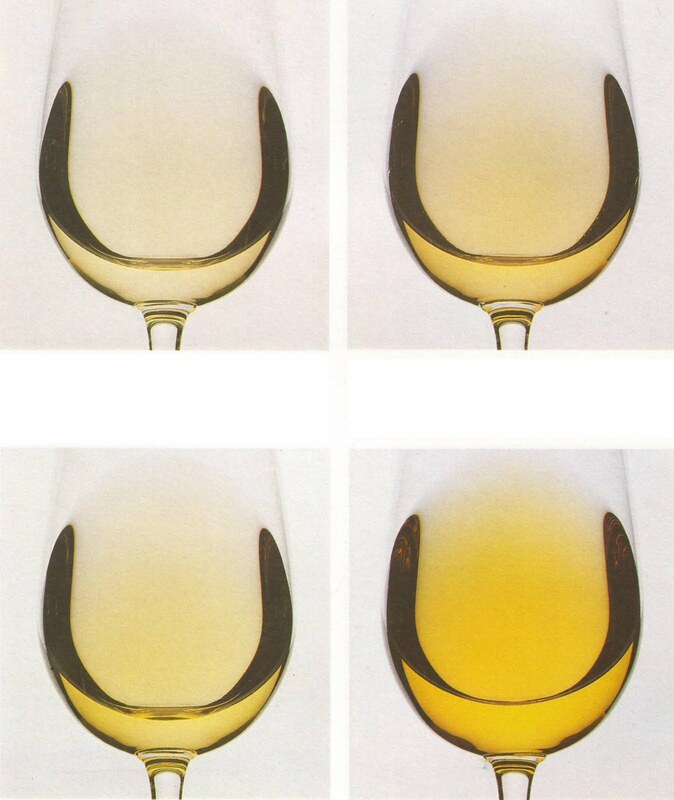 The common characteristics of all Rieslings are high acidity and relatively low alcohol. 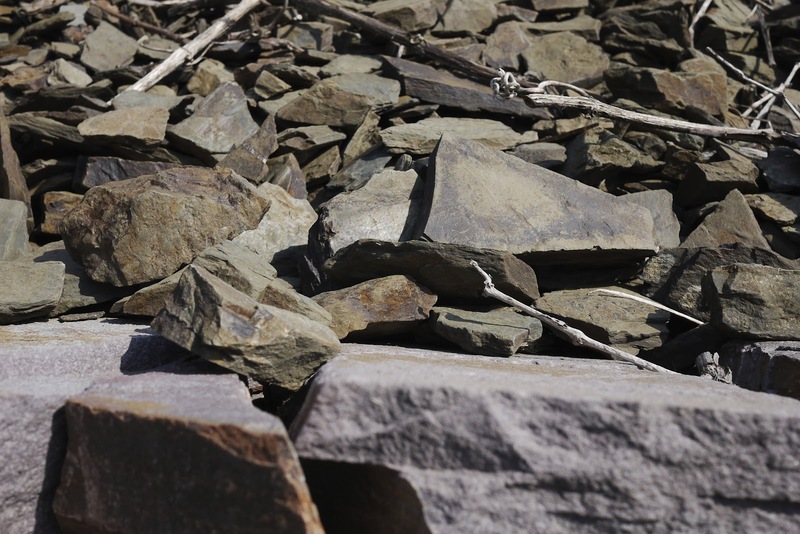 In my discussions with Mosel winemakers, including Reinhard Löwenstein, the 13th generation of Weingut Heymann-Löwenstein, and biodynamic winemaker Clemens Busch, they all stressed the influence of slate on German Rieslings. Blue slate lies deeper underground and vines have to work hard to get the trace minerals, resulting in wine with more minerality—the typical elegant Mosel style. Red slate has a more rounded mouthfeel with gooseberry and red fruits, while grey slate gives more yellow and tropical fruits. At the Riesling Journey masterclass conducted by Carsten Klane from German Fine Wine in Hong Kong last month, we tasted several German Rieslings alongside Rieslings from Alsace and Australia, and the differences were obvious. German Riesling has a tighter and leaner structure, especially the Mosels which can be steely, while Alsatian Riesling is bolder. Australian Riesling is generous but lacks the subtlety of those from the Old World when compared side by side. Apart from the sweet noble rot and ice wine Rieslings, where consumers know that the wines are, well, sweet, many people are confused and put off by the off dry/medium style Rieslings from Germany. I have to confess this is the reason I didn’t go near Riesling when I first explored wine. The trick, instead of focusing on the sweetness, is to think about the balance between sweetness, acidity, alcohol and fruit. A well-made medium dry Riesling is not cloying like syrup, but concentrated and fruity with a nicely balanced sweetness set against the acidity. It can go well with a variety of savoury dishes from steamed dumplings (蒸餃子) to Kung Pao chicken (宮保雞丁) and sweet and sour prawns (咕嚕蝦球). A couple of useful tips on sweetness when you buy German Riesling: Kabinett, Spätlese and Auslese are categorised according to the sugar level at the time of harvest. They can all be either dry or medium. You need to interpret this with reference to the alcohol level. For example, a Kabinett with 11% alcohol will be dry while one with 8% alcohol will by semi-dry. Similarly, a dry Spätlese has about 12-13% alcohol and a dry Auslese about 13-13.5%. Trocken: Dry. Any wine with this word will have less than 9g/l residual sugar. Grosses Gewächs (GG)/Erste Gewächs: Equivalent to Grand Cru. Dry wine from Erste Lage (first growth vineyards) under the VDP classification. Alcohol level usually 12-13.5%. Halbtrocken: Off-dry, usually 9-18g/l residual sugar. Feinherb: Half-dry, an unregulated designation, usually sweeter than halbtocken, in the range of 12-40g/l residual sugar. VPA: the Association of German Quality Wine Estates. 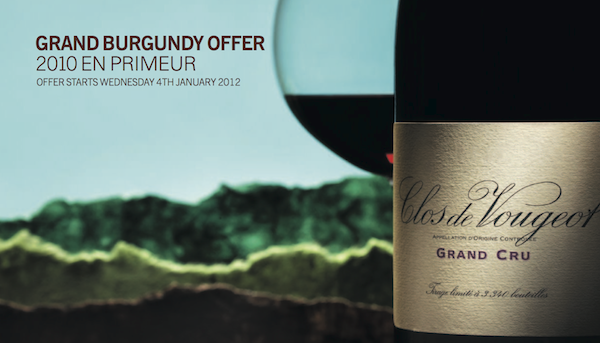 Clemens-Busch is available from German Fine Wine, and Weingut Heymann-Löwenstein is available from Berry Bros & Rudd. Most wine lovers are probably unaware that Tokaji was the first wine region to be classified, way back in 1730, 26 years before port wine and 125 years before the Bordeaux 1855 classification. The vineyards were sorted into three classes based on the soil, sun exposure and potential to develop noble rot. Tokaji Aszú wine has long been enjoyed by royalty, writers and composers, but, like most Eastern European countries, Hungary fell victim to communism, and not until the Soviet Empire's collapse in the 1990s did its glory slowly begin to revive. In 2002, UNESCO recognised Tokaji as a World Heritage Site for its distinct vinicultural tradition. Holdvölgy (Moon Valley in English) is situated in the heart of this legendary region in the Mád basin (equivalent to Grand Cru). Pascal Demko, the passionate owner, strives to produce high quality wine true to the Tokaji region from his 25 hectares, comprising 19 parcels on seven different sites. Being a lawyer with a rational mind, Pascal employs a team of professionals including the young and enthusiastic winemaker Stéphanie Berecz, who is responsible for making all the outstanding Holdvölogy wines across its two lines: the classic luxury Holdvölogy line, and the premium, fun Hold and Hollo line. There is no doubting the quality of the wine. But what impresses me most is the marketing thinking behind the two lines: in tune with today’s consumers yet true to the origin and conscious of quality. The first vintage was 2006 for Culture and 2007 for the others. They were only released in 2011 and are now selling at Michelin star restaurants in London. Coming from a background of marketing consumer goods when wine was still largely confined to the ‘connoisseur’ segment, I find the wine industry in general is, even today, still quite conservative when it comes to marketing. So I definitely give a thumbs up to Pascal’s second brand, Hold and Hollo. In my view, this should be a hit with young, fun loving consumers. 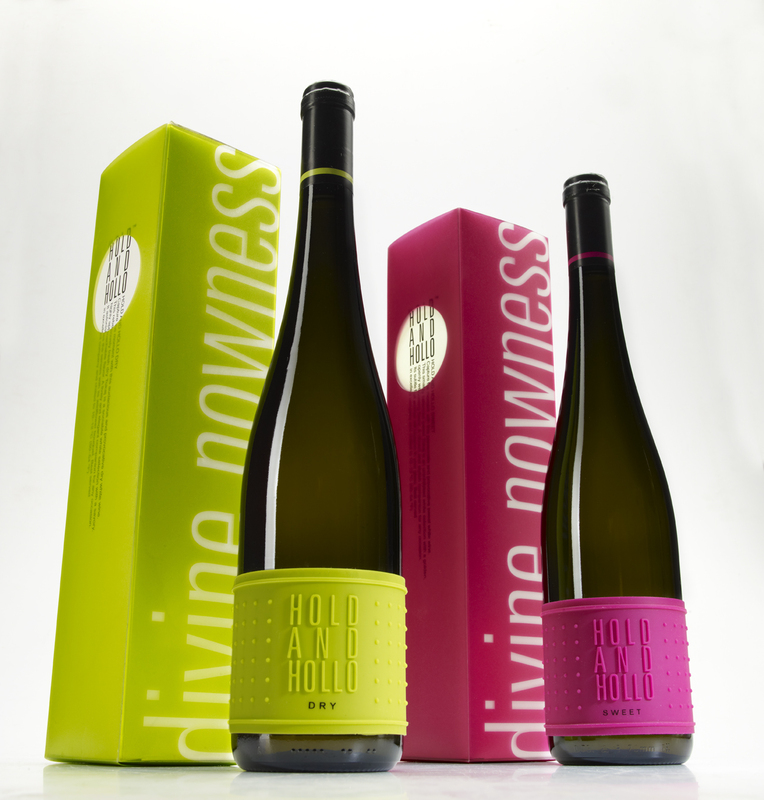 Marketed under two labels: dry and sweet with sharp green and pink latex labels respectively, Hold and Hollo does not emphasise grape varieties or vintages, but focuses instead on innovation, creativity and originality. I can see the young 20+s sipping it in bars, and, if allowed, it could even be selling in the lifestyle sections of department stores like Lane Crawford, City Super and Selfridges. Pascal has no representative in Hong Kong or Asia yet, but I am confident that a like-minded distributor would find representing Holdvölgy and Hold and Hollo rewarding. Apart from port, the next best thing from the Douro (or indeed Portugal) from a wine perspective is probably the Douro Boys. 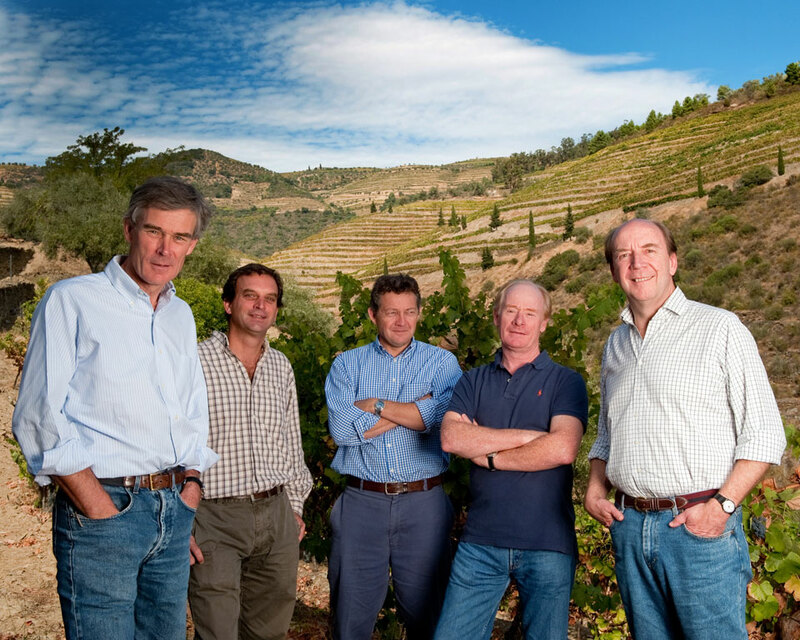 An alliance of five independent family estates: Quinta do Vallado, Quinta do Crasto, Quinta do Vale D. Maria, Quinta do Vale Meão and Niepoort, Douro Boys was created in 2003 to ‘put the Douro on the map’. Back then, Portuguese wine was little known outside Portugal, let alone in Asia. Douro table wine had a few disadvantages: it was the little cousin of port, both in terms of popularity and quality. The best grapes were often designated for producing port, and most estates made table wine almost as an afterthought. White wine was often oxidised and red austere. The status of port in the Douro is beyond doubt. All members of the Douro Boys make ports, but they have also noted the growing trend of red wine consumption. They believe in two things: to make the best quality wine with what the land offers them—indigenous grapes and terroir—and to be out there promoting their wines. Douro wine is a blend of indigenous grapes. The names are sometimes near impossible to pronounce and it is difficult to single out a distinctive aroma that can be associated with the wines. An easy way out would be to replant the vineyards with international grapes like Cabernet Sauvignon or Syrah. Luckily, the Douro Boys have not. The light-heartedness of the group’s name contrasts nicely with the considerable avoirdupois (weight) of its members: dynamism and determination. They are accessible but the wines are serious. 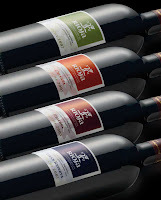 Each quinta has its own style and together they offer a good breadth of selection. With their energy, enthusiasm and commitment, they trot the globe, reviving the Douro image and in fact raising the overall quality standard of Douro wine. The international press writes about them with passion; critics rate their wines with respect and wine lovers, well, just love their wines. I don’t think many of us have tried Brazilian wine, let alone Brazilian sparkling wine. Therefore I was pleased to be invited to the Casa Valduga tasting. It is one of the largest and oldest wineries in Vale dos Vinhedos in the south of Brazil. The climate is humid and temperate but luckily the vineyards, located at between 450m and 650m above sea level, are cooled by the mountain breeze. The verdict? 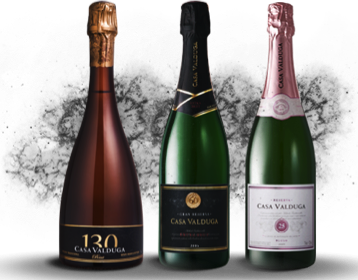 This was actually my second time to taste Brazilian sparkling and I have to say Casa Valduga is better. Three wines, Espumante 130 Brut NV, Reserva Blush 25 Brut 2009 and Gran Reserva Extra-brut 60 2006, are made with classic champagne grape varieties in the traditional method. All are lively with a slight mineral note in the back palate. The Rose is fresh and soft, while the Espumante has more structure. I won’t compare Brazilian sparkling wine, or in fact, any sparkling wine with Champagne. It is not fair. Champagne grows in a marginal climate and its production techniques have been perfected by years of experience. It is more refined and elegant but not many will have a glass of it every day. 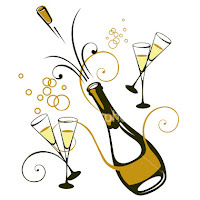 Sparkling wine is much more value-for-money, relaxing and fun. We should enjoy them for what they are: Prosecco for its freshness, Cava for the concentration and Brazilian for its liveliness. Casa Valduga also has a Reserva Moscatel and a Gran Reserva Cabernet Sauvignon, available from Wine Patio in Hong Kong. Rioja: American or French oak? Classic Rioja is aged in American oak to develop the soft and mellow structure with a hint of vanilla. Especially for the reserva and gran reserva, there is the mushroomy, olive bouquet thanks to spending a long time in American oak barrels and in bottle. In the face of competition both from the New World and within Spain (Ribera del Duero, Priorat), some Rioja producers are making more modern style wines with higher fruit concentrations, and ageing them in French wood. The wine is more powerful, more spicy and usually a shade darker. To find out more about the region's use of barrels, I attended the 1st Grand Tasting of Rioja Wines where some 60 Rioja producers showcased their wines. It was very interesting talking to the producers. The traditional camp insisted that they will never use French barrels because Tempranillo, the major variety in Rioja, expresses itself most fully in American oak, and the wine would lose its flagship identify—sweet red fruits, gentle and easily appreciated characters—in French barrels. 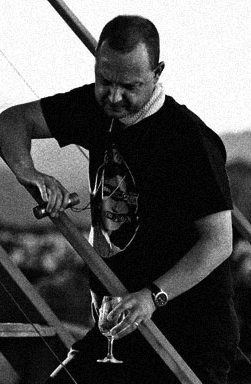 One producer even has its own cooperage to import American oak and make its own barrels. 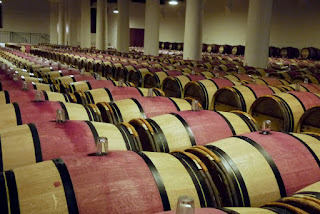 In the other camp, however, producers claimed it is about the evolution of Rioja over time. One critic even went further, saying it has historically been mostly a matter of cost saving, since American barrels cost much less than French. The truth, I concluded, is that it is all about satisfying consumer preferences. Many of today's consumers, accustomed to New World styles, prefer the deeper-flavoured French oak aged Rioja. Sensing the division, some producers offer two lines: one using American oak and the other French. Some even age a single wine in both oaks (either blending them together after ageing or first ageing in French oak and then American, or vice versa). One whom I talked to was from the traditional camp but is nevertheless adjusting his style: he makes a modern style Rioja still using American oak but with alterations to winemaking techniques such as maceration time and fermentation temperature. There are many different styles of Rioja. They are classified by their time spent in barrels and ageing period. Joven may spend no or only a few months in barrels; crianza must spend a minimum of 12 months in barrels and 12 months in bottle; reserva a minimum 12 months in barrels and 24 months in bottle and gran reserva 24 months in oak and 36 months in bottle before being released. So how do you know which style the wine is? The back label will distinguish joven, crianza and reserva but may or may not indicate French or American oak. So look at the overall packaging. 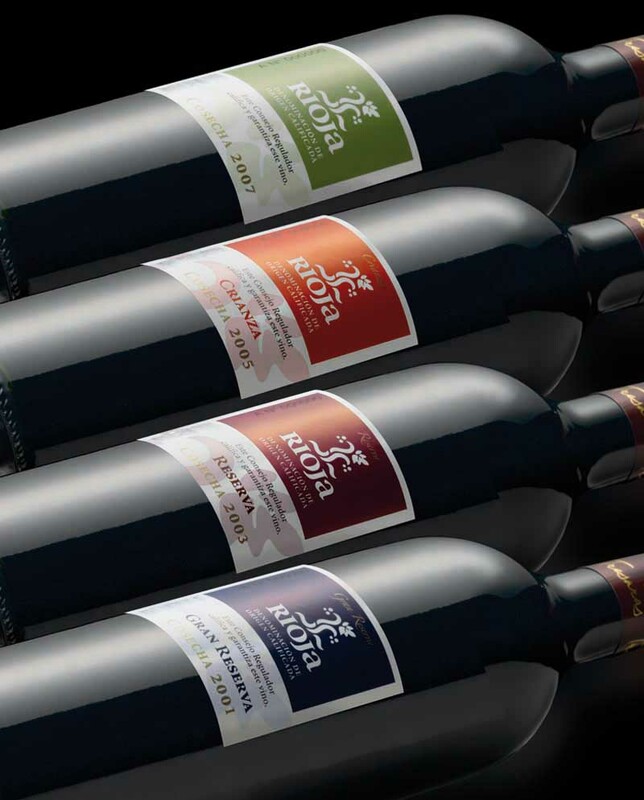 American oaked Rioja tends to have traditional labels and packaging such as the gold netting, while the French oaked styles will usually sport a more modern front label. For me, I found some of the modern styles too ambitious with the French oak; I prefer the more subtle and elegant classic style. But this is a personal choice and can also depend on the occasion. Find out for yourself which you prefer. As always, in the end you can only find out by tasting. It was sad to have received an email on 7th April from the Hong Kong Wine Society, not about wine tasting but the passing away of Barry Burton, the Chairman and a friend. There are too many superficial people around but Barry was genuine. He had a larger than life character, always cheery, actually listened to people and showed interest in the discussion. He was never pretentious, even with his standing. Unlike many who take things for granted, Barry said thank you. I only knew him for about two years. I am fortunate to have known him, even for such a short time, and have tasted together on a dozen occasions. Some people may be replaceable, but not Barry. White wine - Golden wine? 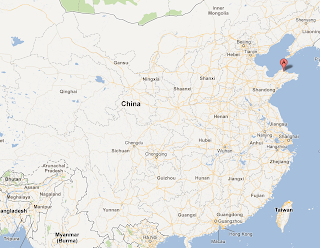 For the Chinese, wine, by default, is red. There are various reasons why white wine is not popular in China: first, red is a lucky colour; second, the literal term 'white wine' in Chinese means the local white spirit made from rice, not grape wine; third, some say the Chinese simply don’t like white wine. But the last reason is not really valid—numerous blind tastings have demonstrated that they do like white wine if they can’t see the colour. So is it because of the confusion over the name? After all, the Chinese have a saying, ‘No need to fear being born on a bad date, but do fear being given a bad name’ (唔怕生壞命，最怕改壞名). So how about calling white wine 'golden wine' (金酒)? 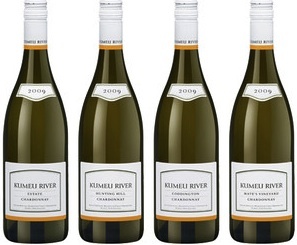 Jasper Morris MW reckons it is a good idea, especially since white wine is not white anyway. Its colour ranges from pale lemon to deep gold. So he thinks the term may not even be appropriate in English. But I’m not sure if it isn't a touch too tacky, just like the lucky Chinese ‘eight’ character on Lafite 2008. 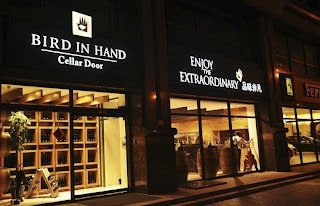 China itself may have 1.3 billion Chinese, but there are still a lot of Chinese outside China who see nothing wrong with the term ‘white wine’. 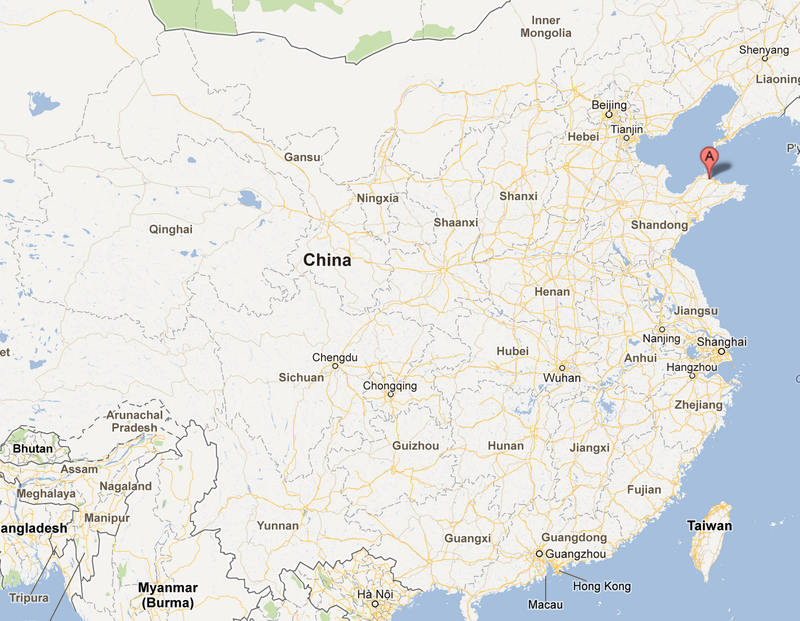 Equally, I’m sure there are many mainland Chinese who don’t want to be treated superficially. What’s your opinion? A sensible marketing move to avoid confusion, or blatant commercialism? Please vote for your preference. Love to hear your comments or perhaps more alternatives. What a joy to start 2012 with the tasting of some fabulous Burgundy 2010, most of it straight from the barrel and flown direct to Hong Kong, courtesy of Berry Bros & Rudd. Even better was a chat about the 2010 vintage with renowned Burgundy expert, Jasper Morris MW. Burgundian producers did not expect 2010 to be a good vintage. The first strike was the plummet in temperature in a short space of time from -3ºC to a record low of -19ºC on 19th December 2009. Since the sap hadn’t gone back down yet, quite a number of vines were killed by the cold air, severely reducing the crop level. The second hit was bad flowering weather in May, which was cool, wet and windy, leading to small and uneven bunches, further reducing the yield. In hindsight, the small crop actually saved the vintage, because summer was not particularly great. A big crop would not have been properly ripe. Furthermore, the smaller berries increased the skin to juice ratio, leading to more concentrated wines as a result. Mother nature struck again on 12th September 2010 in the form of a massive thunder and hail storm, damaging some Chardonnay which was about to be harvested. Luckily a north wind came soon afterwards to dry the grapes, preventing the spread of rot. The harvest in mid September was carried out in sunny weather. The end result? A classic vintage with elegance and finesse. The Pinot Noir show a perfect balance between acidity, tannin and fruit; while the whites display a density of fruit that is well-integrated with the fresh acidity. According to Jasper (and after tasting the wine I agree), the 2010 vintage is much more 'Burgundian'. 2009 may be more pleasing, but it is more 'international' than true Burgundy. The negatives? The yield was down between 30% and 50% across the region. Given the latest enthusiasm for Burgundy, there won’t be enough to satisfy demand. Despite this, most producers have kept their prices the same as 2009’s, unlike their counterparts in Bordeaux. Many wine lovers find it confusing to navigate the myriad labels of Burgundy. Burgundy classifications are by geographic district rather than producer. Yet, two vineyards of the same Cru status next door to each other may produce wines that seem miles apart. The quality of Burgundy wine has always been hit and miss. Jasper says this is because most Burgundian producers have traditionally been farmers who learned by on-the-job training from their fathers. Today’s young generation of producers have formal oenology training, some even have overseas vintage experience. He is seeing big improvements in quality in all categories of Burgundy wine including the regional appellation. Jasper selected 34 wines for BBR’s 2010 Burgundy en primeur tasting. There are some real bargains. Patrick Javillier Bourgogne Blanc Cuvée Oligocène is full of life and a steal at £150 per 12 bottle case. My other favourites are the complex Domaine Jean Grivot Clos de Voueot Grand Cru (£570 for 6 bottles), the generous Maison Camille Giroud Corton Clos du Roi Grand Cru (£270 for 6) and the elegant Domaine du Comte Armand Pommard Clos des Epeneaux (£345 for 6). Visit BBR’s website for more information. It was a pleasant surprise to have tasted this wine at a recent tasting organised by Sogrape. I was expecting the overtly pungent fruit driven Sauvignon Blanc that is typical of Marlborough, but Framingham’s is more subtle. 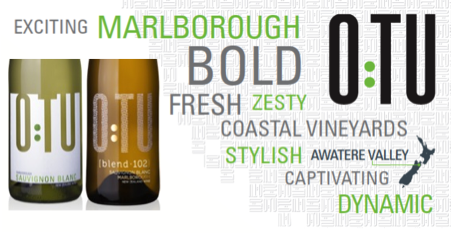 It still has all the characters of a Marlborough Sauvignon Blanc but they are toned down, and with added complexity and creamy mouthfeel. A chat with winemaker Andrew Hedley revealed that the grapes were sourced from eight different sites and were fermented in batches, some in stainless steel at cool rather than cold temperature to avoid the estery characters, and some in barrels at even higher temperature. The finished wine was left on lees for a few months with partial malo-lactic fermentation before final blending. No wonder it has such a nice texture and subtlety. Andrew explained that most of their sales come from restaurants and therefore they have to make food-friendly wine. Typical Sauvignon Blanc tends to be too pungent and overpowers the food. He certainly has a point! I also tried his Classic Riesling, an off dry style again fermented at cool temperature and left on lees for a few months. I liked the wide spectrum of flavours, the firm structure and the nicely balanced residual sugar. Framingham was among the second generation of producers in Marlborough and one of the first to have planted Riesling. They make a range of Rieslings from dry and off-dry to botrytis infected sweet wine, all in relative small volumes. Framingham has ten wines under the label and an experimental F-series that uses different winemaking techniques. I like their philosophy of trying different varieties (they have a Montepulciano) and have adopted both New and Old World winemaking techniques rather than joining the bandwagon to make standardised Sauvignon Blanc. I wish more wineries could be as daring. Marlborough Sauvignon Blanc may have put New Zealand on the wine map, but it’s time to move on. 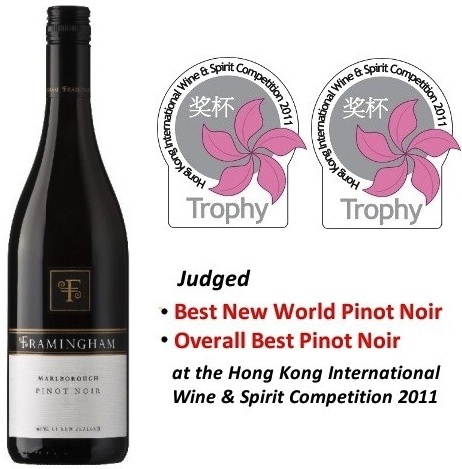 By the way, Framingham Point Noir 2009 was a double trophy winner at the 2011 Cathay Pacific Hong Kong International Wine and Spirit Competition, snatching both Best Pinot Noir and Best New World Pinot Noir. Their wines are available from Leung Yick Co Ltd.
‘What is biodynamic wine?’ Ask this question of Christine Saahs, owner of Nikolaihof from Wachau, Austria, and you will receive a two hour lecture, exactly what we had recently! Biodynamics advocates believe soil is a living thing. Conventional farming, with heavy use of fertilisers, chemicals, pesticides, etc, is like junk food to the soil that ‘kills’ it. Biodynamic farming builds healthy living soil through interaction with and in harmony with the environment so it can nurture plants and produce wholesome food that vitalises humanity. Advocates also believe there is a link between the soil and the moon. The earthly and cosmic powers integrate and create a new quality in the final produce. Yet while these all sound credible, some biodynamic practices like burying cow horns filled with cow manure and dynamising the compost (stirring a mixture of herbs and water vigorously for a period of time), are regarded as superstitious by many and draw criticism. However, even in those cases I do think there are possible scientific explanations: cow horns consist of calcium, an essential element for improving soil structure and regulating soil acidity, and it may possibly leach into the decomposing manure and then into the soil. Stirring vigorously, like whisking ingredients vigorously when baking, introduces more oxygen into the mixture which could promote micro-organism growth in the soil. I also think that using different herbs and wild flowers to prevent or cure vineyard diseases and pests is akin to the Chinese drinking herbal medicine. Chinese doctors will tell you that their medicine helps restore your internal balance but won’t explain to you how. As for following the lunar calendar, the gravitational forces that cause tides exist on land as well. Biodynamic vinegrowers irrigate when the tide is high on the premise that water will be ‘pulled’ into the vines more easily. Similarly, they prune when the tide is low to minimise sap loss at the pruning wounds. Aren’t all of these quite logical? Christine summed it up well, ‘Biodynamics is one step ahead of organic farming. Organic farming sustains the health of the soil; biodynamic practices improve the health of the soil’. Whether conventional, organic or biodynamic, I believe it is the passion and belief of the practitioners that makes the difference. 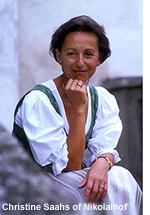 Christine is so convinced of biodynamics and speaks with such passion that she, dressed in her traditional Austrian outfit, looks like a biodynamic human being. But both good and bad wines can be made whatever viticultural practices are used, and only when growers put their heart and attention into the vineyard can they grow grapes that are healthy and of high quality. I suppose this is what home cooking is all about: mums cook with love and care! Having said that, I do think sometimes biodynamics enthusiasts go a little too far. 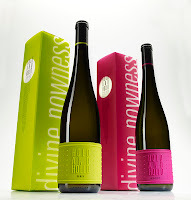 Christine said biodynamic wine, even after bottling, still responds to the moon. The wine tastes fruitier on a 'fruit day', more vibrant on a 'flower day' and neutral on a 'root day'. I questioned this but didn’t get a satisfactory answer. Yes, wine is a living thing because it evolves in the bottle due to reaction with (or lack of) oxygen, but does it really respond to the moon? We tasted five wines, all intense and fresh with a common earthy aroma. While I couldn’t tell whether they were biodynamic in a blind tasting, I am certain that they were all very well-made wines from a caring winemaker. By the way, we tasted the wine on a 'root day', so according to Christine, not the best day for tasting. 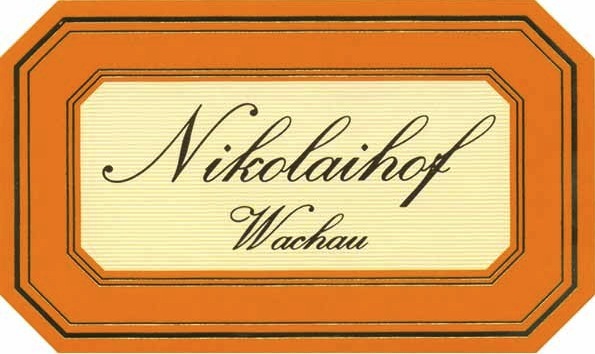 Nikolaihof's wines are available from Cottage Vineyards.